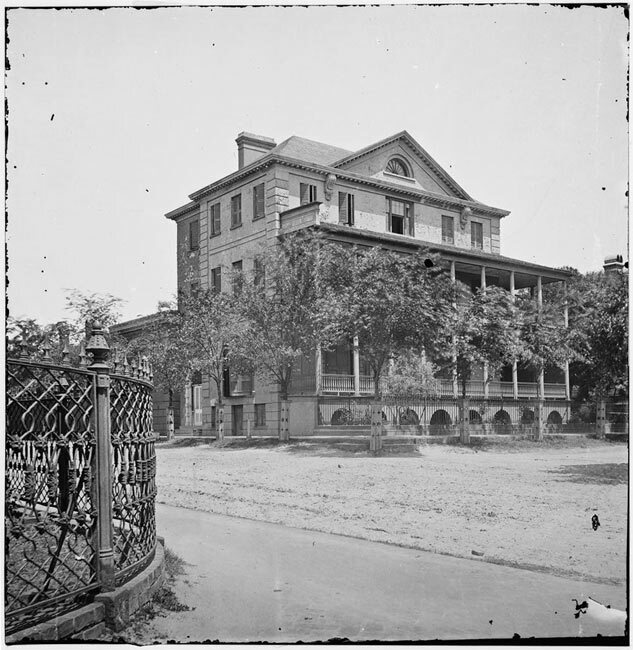 The Aiken-Rhett House is located at 48 Elizabeth Street in downtown Charleston. 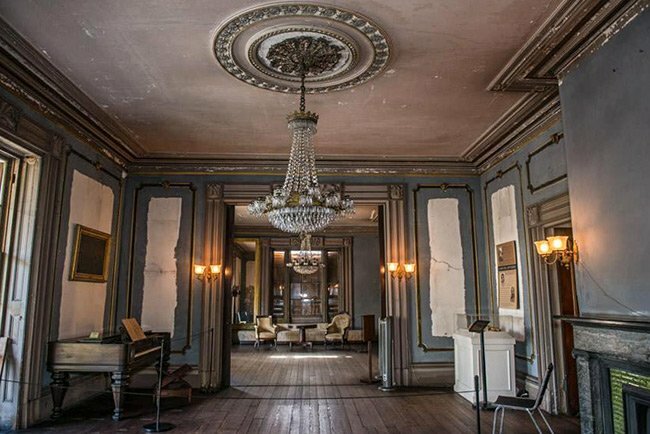 It was constructed around 1820 and stands as the most well-preserved early nineteenth century townhouse in the city. The house was originally built for John Robinson, a wealthy merchant from Charleston. In 1825, several of Robinson’s ships were captured and burned by the French. Although not legally liable for the cargo on board the ships, he felt obligated to repay the planters for the loss of their crops. In order to raise the capital he was forced to sell the home to William Aiken in 1827. That same year the South Carolina Canal and Railroad Company was incorporated and Aiken – for whom the city of Aiken was named – was designated its first president. 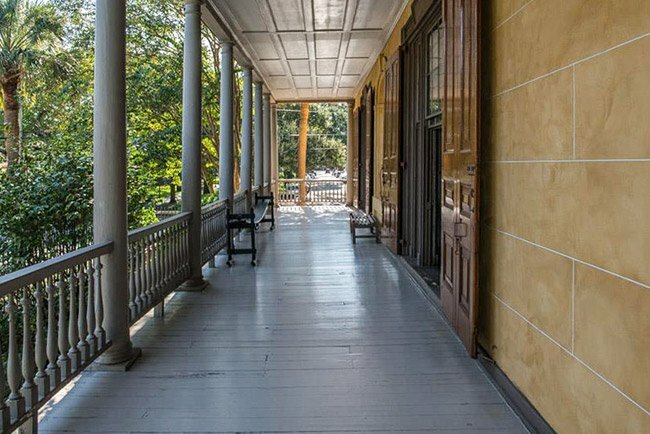 Aiken used the home as a rental property until his death in 1831, when his assets were divided between his wife and his only son, William Aiken, Jr., was a successful rice planter who would later become a prominent statesman and governor of South Carolina. 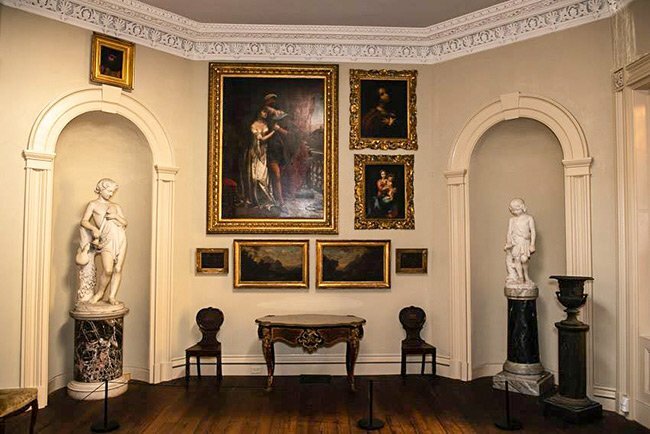 He and his wife, Harriet, moved into the house in 1833 and began an extensive renovation of the property. The main entrance was moved to what was originally the side of the house. 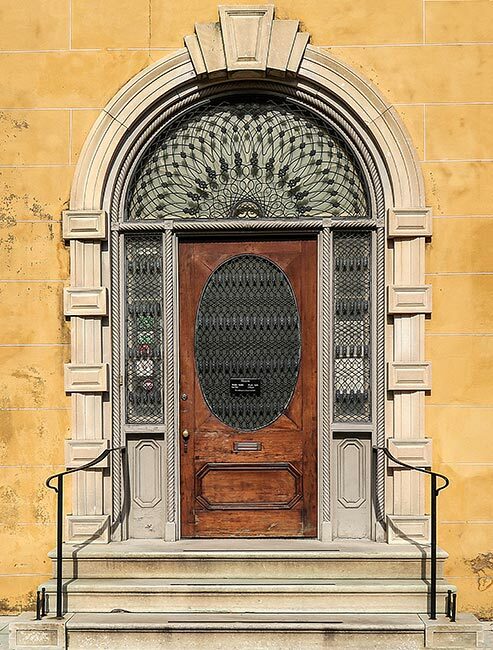 The passageway is an ornate Gibbs surround made out of marble with a mahogany door outfitted with a semicircular fanlight and sidelights with decorative grillwork. 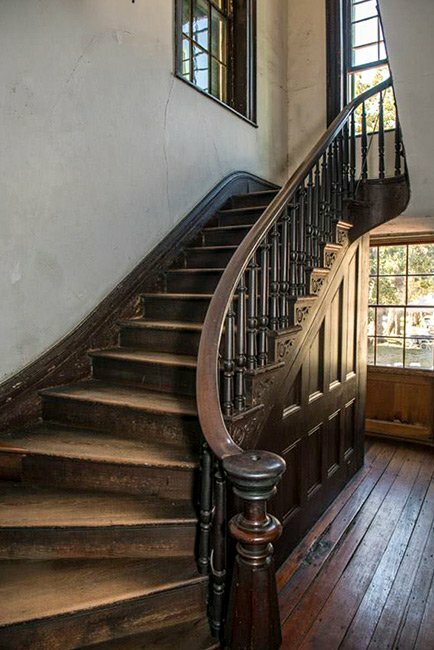 Since the entrance was lower than the rest of the house, a new staircase was constructed inside. 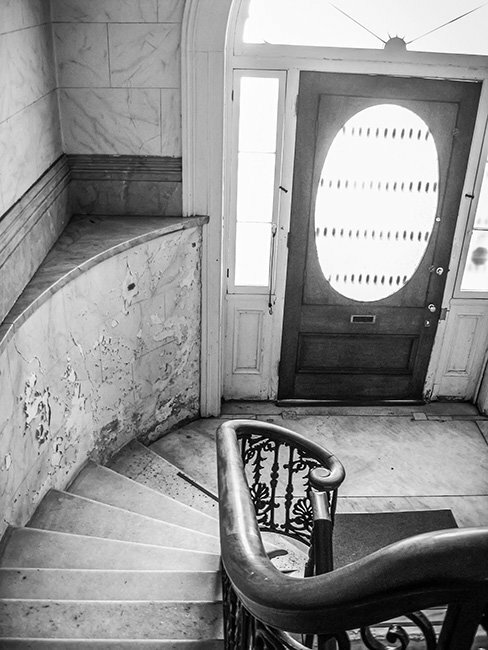 Upon entering the home, a curved double staircase, made of marble with decorative ironwork and mahogany railings, rises to the main level of the home. Windows on the first level were replaced with tripartite (made up of three parts) windows measuring eight feet by ten feet. A three-story addition was constructed which added a dining room to the first floor. Porches were extended an extra bay to cover the new addition. A larger staircase was constructed starting on the main level, which rose the entire three stories of the structure. This new staircase, while not original to the house, became the main passageway. The original staircase which was smaller and less ornate, though still detailed, became the back stairwell. 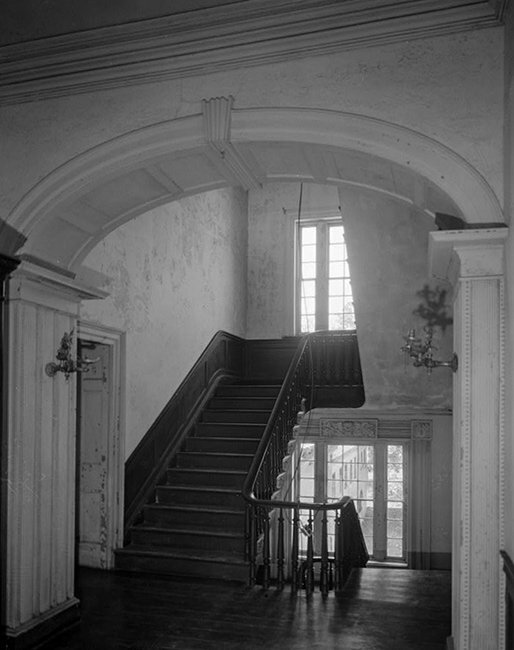 In 1857, another wing was added just off of the double marble entrance stairs. This wing was built to showcase Aiken’s impressive art collection. The gallery features a four-paneled skylight and an ornate plaster cornice adorned with fruit and leaf motifs. The addition of the art gallery would be the last significant change to the house. Aiken, Jr. lived in the house until his death in 1887, at which time he left the property to his family. 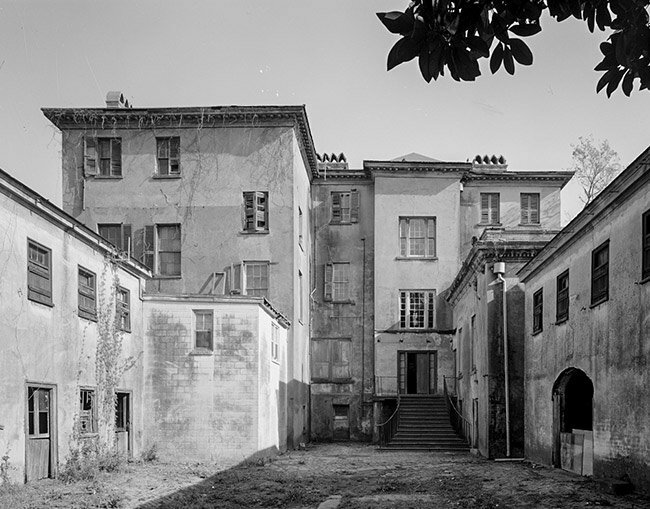 The house remained in the family until 1975, when it was donated to the Charleston Museum. In 1995, it was purchased by the Historic Charleston Foundation. Much like Drayton Hall, the owners of the Aiken-Rhett House have chosen the preserved, not restored approach, making it one of the most authentic house museums, in terms of original fabric present, in Charleston — daily tours of the home and outbuildings are offered. 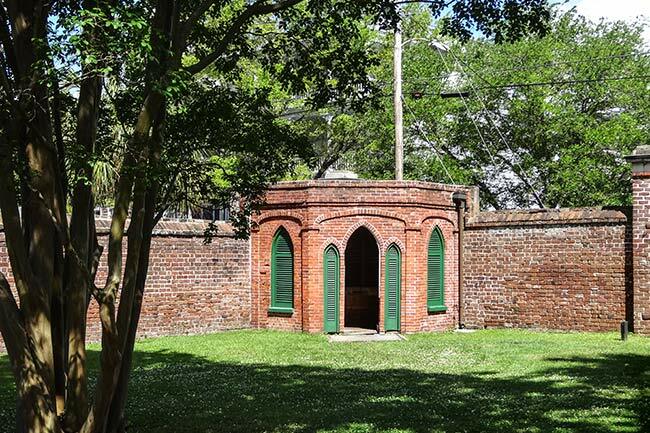 In 2017, the Historic Charleston Foundation, along with English Purcell and Joseph McGill, organized the very first tour of its kind in the country, called Beyond the Big House. 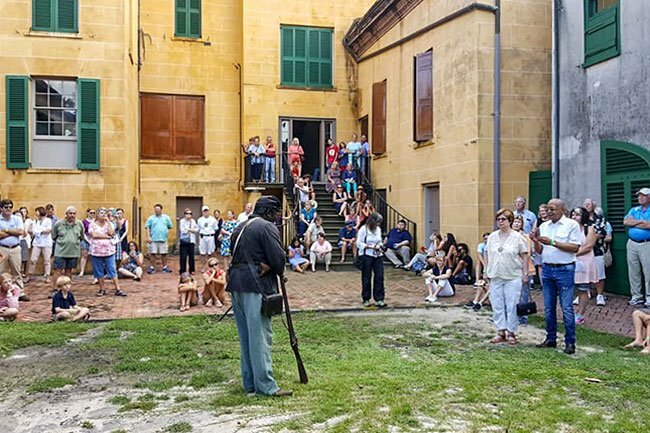 The tour focused only on the dwellings associated with the enslaved behind the mansions in Charleston. It proved to be a massive success and sold out quickly and will continue to be an annual event. The Aiken-Rhett House courtyard served as the finale location. Re-enactors were on hand to tell stories of the enslaved, as well as to educate about the Gullah culture. Visitors were invited to participate in McGill’s Slave Dwelling Project initiative which focuses on sleepovers, in dwellings for the enslaved, across the country to promote education, awareness, and preservation. 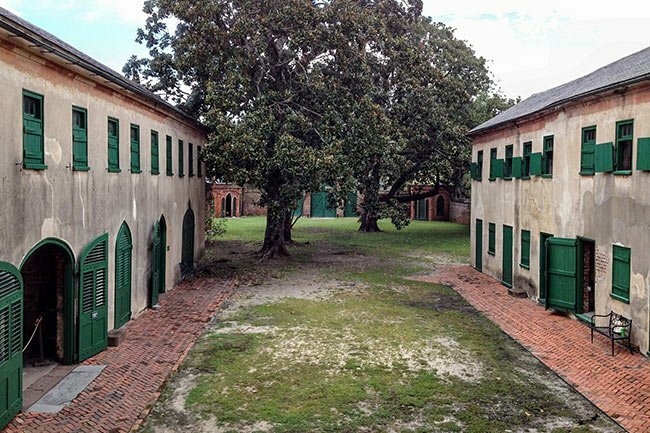 While most people associate slavery with rural plantation properties only, these townhouses operated much like their rural counterparts and are referred to as urban plantations. 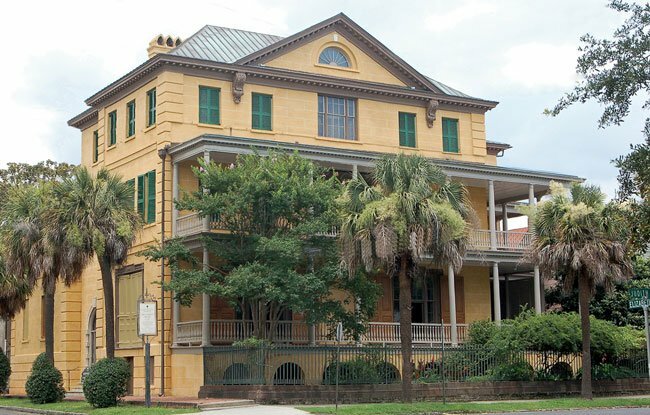 Besides the Miles-Brewton House, which is a private residence, the Aiken-Rhett House remains the most intact example of an urban plantation left in the city. Two outbuildings associated with the enslaved flank the rear of the home, both of which served multiple purposes historically. The interior pictured below is the upper level of the outbuilding to the right of the main house. 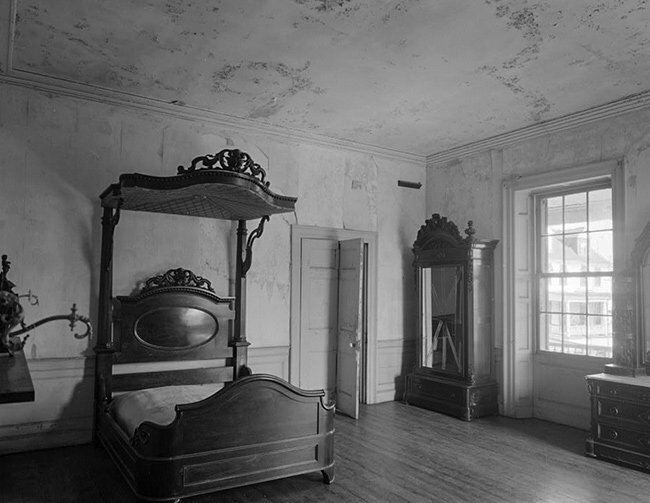 The first level served as a kitchen and laundry, with the upstairs serving as sleeping quarters for the enslaved. Enslaved workers who tended to the main house would have lived here. 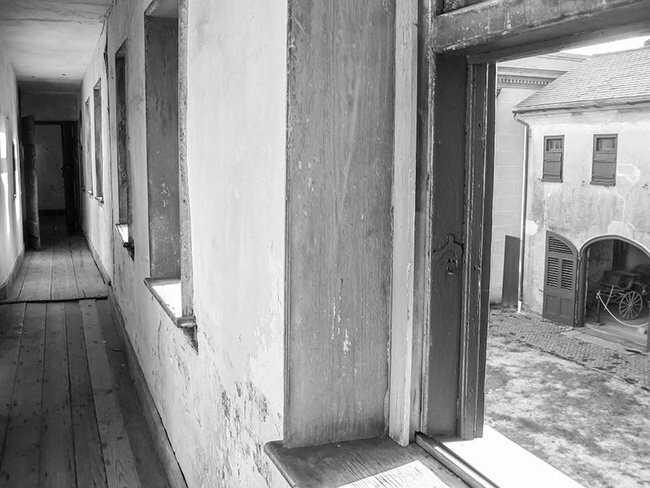 The windows of the upstairs hall overlook the courtyard onto the carriage house. The carriage house was used for the storage of carriages, as well as livestock. Interior stalls with troughs, which were used for feeding, still exist with worn areas where livestock chewed them many years ago. 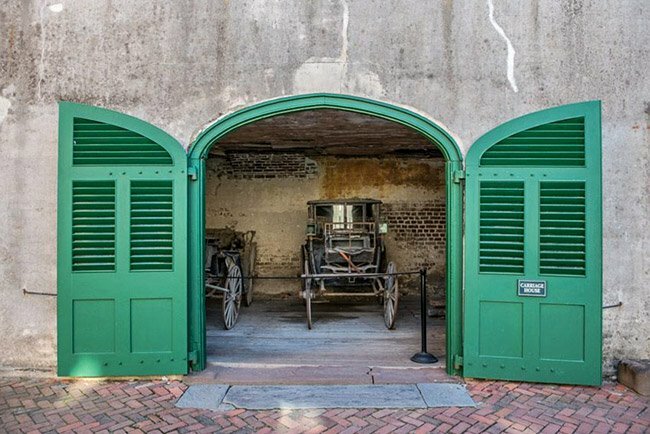 On the upper level of this building, which is not open for touring, more bedrooms and storage areas exist for the enslaved workers who tended to the animals and driving. Two Gothic-Revival privies flank each side of the rear entrance gate. These are where restroom facilities were located. Two additional shed-like structures, and remnants of a Magnolia tree allee also exist in the rear yard. (Aiken-Rhett House) The Governor William Aiken House is significant both in terms of its architecture and its history. The main portion of the Governor William Aiken House was erected ca. 1820 by John Robinson, a merchant. In 1827, William Aiken, Sr. acquired the house. Aiken was president of the South Carolina Canal and Railroad Company and was a member of the state House of Representatives from 1824 until his death in 1831. 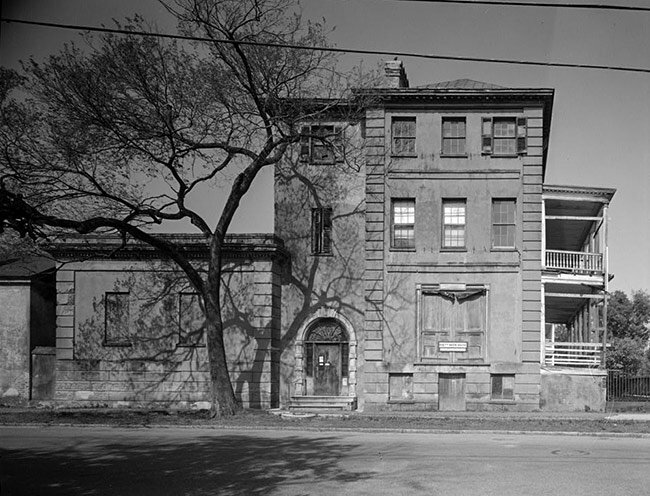 After his father’s death, William Aiken, Jr. acquired the property. A rice planter, Aiken served in the state House of Representatives (1838-1841), as well as in the state Senate (1842-1844). From 1844 to 1846 he served as Governor of South Carolina, and later served three terms in the U.S. House of Representatives (1851-1857). The house exemplifies the changes which occurred in architectural design during the first half of the nineteenth century, reflecting late Federal period, Greek Revival, and Victorian period influences. It is three stories high and is constructed of stucco over brick. Quoins decorate the corners, while the basement level has been scored to resemble stone. The entrance façade was originally designated on that which is now the south (right side) façade. It features a Doric double piazza of two-stories with a pediment at attic level. A semicircular fanlight graces the pediment while elaborate consoles with acanthus leaves accentuate either end. The tin roof is hipped and the restrained cornice features modillions. The structure was extensively altered ca. 1833 and a one-story wing designed as an art gallery was added in 1857-58. Included within the nominated acreage are several outbuildings: a large kitchen building containing three kitchens, workrooms, and servant quarters on the second story, in addition to a stable, two Gothic style brick privies, and two shed structures. I was so moved by the opportunity to visit this house. 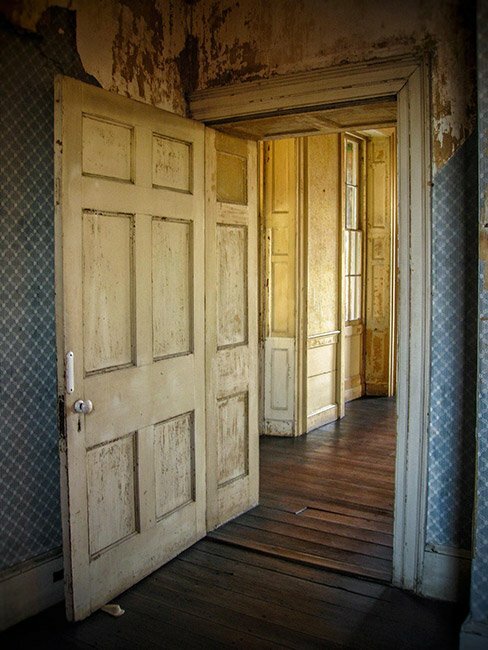 I have searched and would like to know more about the last resident in the house and how they existed in what was left. Just have to tell you how thankful I am to have seen this house preserved as is. I truly enjoyed visiting this home. I believe I got a photo and an image of a spirit/ghost, so if you are interested, please let me know and I will send it to you! All my girlfriends see it immediately, my male friends either say its shadows or like my nephew said, it’s too spooky, don’t show me things like that again! I walked up the stairs to a hallway with a big mirror leaning up against the wall, got the chills, and stopped. I then took the pictures, and never thought about it again, until my friend that I was traveling with said “ooh Lene, we didn’t see any famous ghosts, I then really looked at all my pictures, and remembered my chills, and then I saw it! Wonder what you have to say, let me know. I can’t wait to come and see this home!! William Aiken was my great-great grandfather and I want to learn as much about him as possible. John Robinson, Charleston merchant, was my fourth great grand uncle. It was thrilling to see the house where he and his family once lived. It was equally exciting to read “In 1825, several of Robinson’s ships were captured and burned by the French. Although not legally liable for the cargo aboard the ships, he felt obligated to repay the planters for the loss of their crops. In order to raise capital he was forced to sell the home to William Aeken in 1827.” I just wish my grandad Robinson was still here for me to relate this story to him. Thank you so much for preserving the home and letting so many people enjoy it. My fourth Great-Grandfather was Charleston merchant John Robinson. My wife and I visited Charleston last week and took a wonderful tour of the (Robinson) Aiken-Rhett House. We had the pleasure of meeting Brandy Culp, the curator of the museum house. It was a truly great experience. The staff of the museum as well as the staff of the Historic Charleston Foundation Gift Shop were so friendly and helpful. We look forward to visiting again! Thank you so much for sharing this wonderful story Rhonda! William Aiken was my father’s Great Uncle. Before my father, Eugene C. England, passed in 2009 I took my parents to the Aiken-Rhett home for a tour. I then took them to the cemetery and where we found Governor Aiken’s grave. This meant a great deal to all of us and made us proud to be related to him — and to be residents of South Carolina.